Frank Thomas is gearing up to launch its autumn and winter 2008 range of clothing. As the name of the range would suggest, the emphasis is on keeping you warm and dry during the dark winter months. The Autumn and Winter range comprises 10 new jackets, seven pairs of trousers, seven pairs of gloves, and four new pairs of boots, and is due to launch at the end of September. We’ve selected some of the best kit from the new range to give you a taste of what to expect. Each of the products chosen feature Frank Thomas’ Aquapore waterproof and breathable lining, and cater for men and women in equal measure. 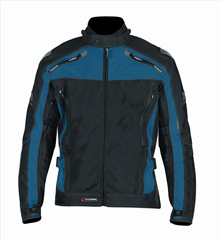 Constructed from a combination of abrasion-resistant Quadra-tech and Ballistic fabrics, the jacket features CE-approved Arma-Flex shock protectors in the shoulders and elbows, and comes with a pocket for a back protector. A removable Anti-Freeze thermal lining is fitted, and vents are built into the upper body and arms. Pockets feature water-resistant zips, and adjusters are fitted to the waist and hem areas. Matching trousers costing £120 (not pictured) are also due to be included in the new range. Constructed from lightweight Hypertec material with a full leather palm and textured grip overlays. 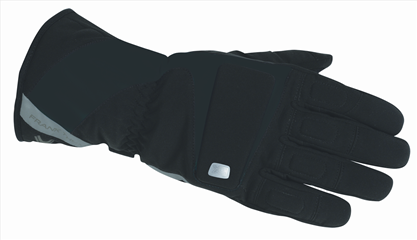 Anti-shock padding is included around the knuckle area, with wrist closure handled by elastic with a Velcro adjustor. Full leather boots designed to mimic vintage-style footwear, the Kinkee boots feature anti-shock discs around the ankle, stretch elastic in the calf area, and an oil-resistant, anti-slip, sole and heel. Constructed from a combination of Hypertec and Amara, the gloves feature a rubberised palm, dual Velcro fastenings on the cuff, and ribbed knuckles designed to maximise the flexibility of your fingers. The gloves also feature reflective piping, to make it easier to be seen in the dark. 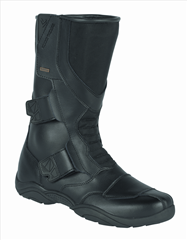 A full leather boot that closes using two D-ring fasteners, which are backed up with Velcro. Ankles are protected by means of protective discs inside and out, and a gear-shifter pad is wrapped around the boot to help ensure durability. The boots are topped off with an anti-slip and oil resistant sole. 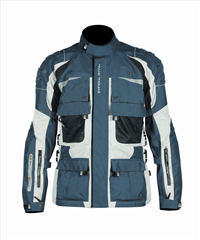 Made from abrasion resistant Hypertec material, the jacket features CE-approved Arma-Flex shock protectors in the shoulders and elbows, and a detachable Anti-Freeze thermal lining. The width of the arms can be adjusted using D-ring and Velcro fasteners. 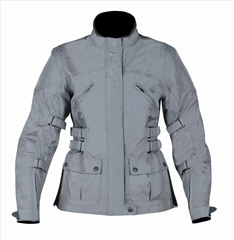 A pair of side waist adjusters are included, and the jacket offers upper body and sleeve ventilation. A matching pair of trousers costing £130 (not pictured) are also due to be available. Featuring CE-approved Arma-Flex shock protectors in the shoulders and elbows, the jacket is made from abrasion resistant Hypertec material. 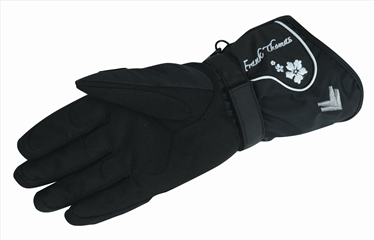 A removable Anti-Freeze thermal lining is included, along with a removable synthetic fur collar. D-rings and Velcro are used to adjust the sleeves, with double waist adjusters built in.